We work across Surrey and parts of West Sussex and have two sides of the charity. Bereavement support and support when a family member is seriously ill.
For access to grief support and more details about our six-week Grief Support groups for children and young people aged 5-17 (which take place in Guildford, Reigate and East Grinstead), please email info@jigsawsoutheast.org.uk or call the office on 01342 313895. Here is our Grief Support leaflet. 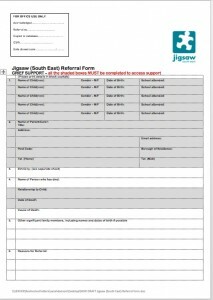 For access to our Family Support Service and more information about how we can help children and young people (aged 0-19) if a close family member has a life-limiting diagnosis, please email info@jigsawsoutheast.org.uk or call the office on 01342 313895. Here is our Family Support Service leaflet. Jigsaw (South East), East Court Mansion, College Lane, East Grinstead, West Sussex RH19 3LT. If you wish to discuss a potential referral beforehand, please call the office on 01342 313895. Here is our Grief Support leaflet. If you wish to discuss a potential referral beforehand, please call the office on 01342 313895. 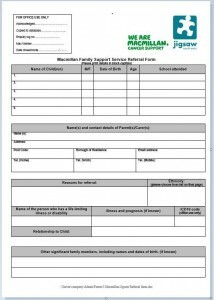 Here is our Family Support Service leaflet.